The Acton Dress by In the Folds has an interesting design that appealed to me straight away. There are two versions, but the bodice and skirt can be interchanged to make four different possibilities. I initially decided to make View B as I liked the unique wrap-effect skirt that can be tied at the front or back. I chose this bold striped cotton that I bought at a recent Morrison sale. I did a full bust adjustment (FBA) on the bodice according to this helpful tutorial on the In the Folds blog. For the bodice I decided to place the side panel stripes vertically to avoid very obvious misaligned stripes from the front to the side. Initially I placed black stripes next to the front panel, but decided it looked weird, so recut the pieces to place white stripes next to the front panel. This also looked odd, so I took it apart and added black piping at the seamlines. 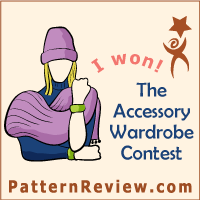 At this point I began to regret the use of such bold stripes on a garment with many pieces! meggipegI am in the middle of a sewing dilemma! 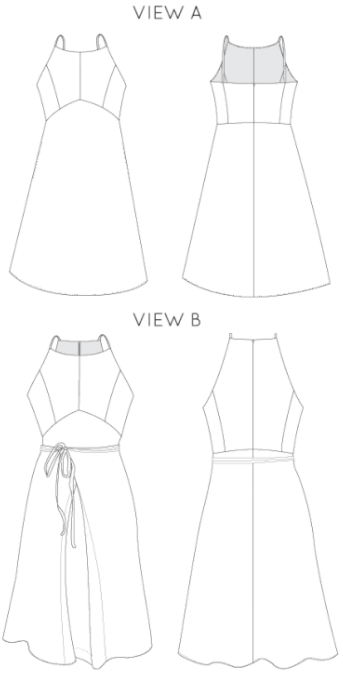 I'm making the Acton dress, view B with the skirt side flaps, but I'm halfway through (no hem, no lining) and having a crisis about the flaps. I think the flaps tied in front might be too busy with the stripes. I like the look of the flaps tied at the back, but only from the front! Should I lose the flaps altogether? Help! The overwhelming response was to tie the flaps at the back or remove them altogether, with one (ex) friend suggesting that it looked like a boat cushion refashion!! I decided to soldier on and finish the dress, then make my decision. The main reason for dilly dallying was that cutting off the flaps would have meant mismatching stripes at the new side seams and I couldn't bear that. Well you've no doubt noticed by now that the skirt does not have side flaps or ties. After many hours spent in front of the mirror, it suddenly dawned on me that if I cut off the flaps and moved the side seam very slightly around, the stripes might actually match. Hurrah! 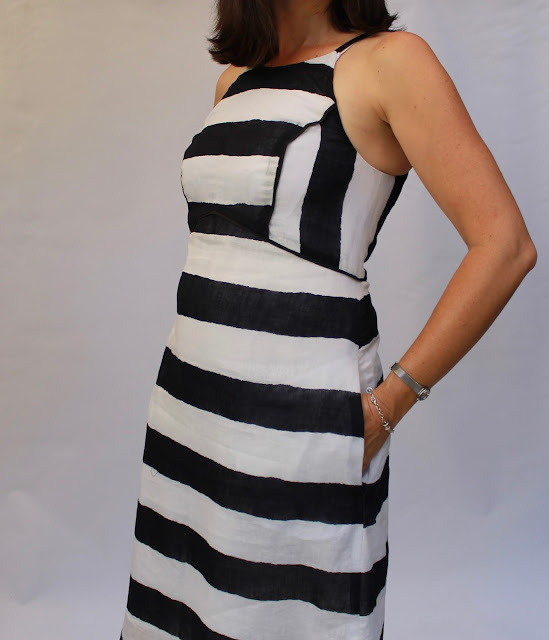 This was fiddly, but I had already embraced the fiddle that was this dress in these stripes, so I pushed on. It worked! I like it much better now! The racer back is cool and flattering, although I need to lower those bra straps a bit! The side stripes match almost perfectly and I even added pockets. Well why not? 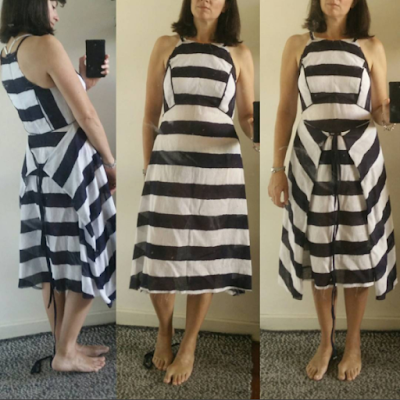 Of course I did the pockets twice as the first time the stripes didn't match the skirt stripes and looked terrible! But I got there in the end and now have a bold and (hopefully) beautiful dress to wear in the last days of summer. I'll just take care not to go on any boats! I should mention that all these tribulations were the fault of me choosing bold fabric and then being fussy about the outcome. This is a lovely pattern and I highly recommend it. 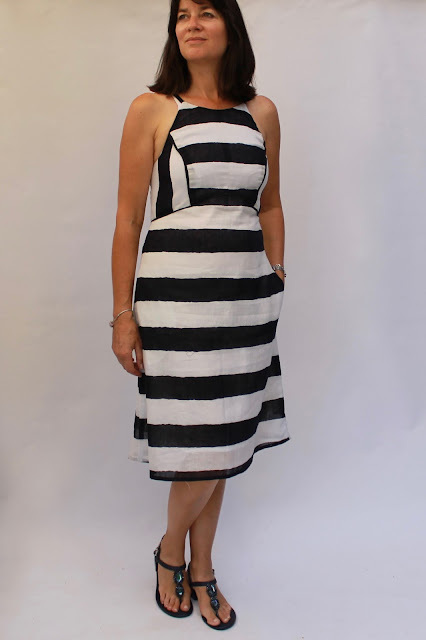 I so love these stripes and they, and your fussiness, make the dress exceptional. Enjoy the last throes of warm weather! You are a better person than me! I would have abandoned it a long time ago, at any one of your hurdles. Love the piping. It really makes it. A phoenix has risen from the ashes. What an amazing fit and you were so confident in the fit you actually included piping :) Beautiful dress! Love everything about it honestly - thank you too for that link to the FBA by the Fold Line. It's a little different than others I've seen and I'll give this a whirl on my next princess seam. Striking dress Megan. Excellent stripe placement and the addition of piping really adds to the panache. Your final skirt design looks fabulous. Love your work.